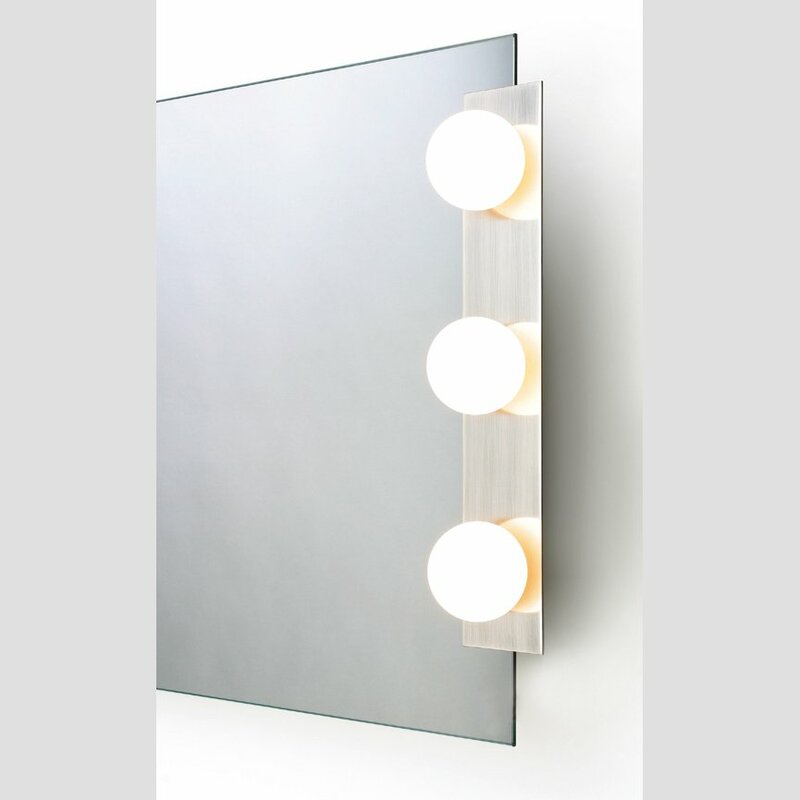 The ultra-slim wall lights with balls of light in high-voltage technology from Top Light form the special eye-catcher to upgrade your wall mirror. But even as a single object miss the wall lamp series Bulb Line not its effect. Similar to the illumination of the light from the mirror series BulbLine here the wardrobe mirror was on the well-known appearance resorted out of the theater. You have the choice whether they want to get your balls of light in Opalglasausführung or head mirror design. With a wall distance of only 15mm (without orbs) or 35mm versions with electrical outlet, this wall light is almost directly on the wall, what constitutes the exclusive character of this special light. The housing of the luminaire Bulb Strip are available in chrome or brushed nickel. It's the same with the sockets and the terminal pair for the mirror mounting.